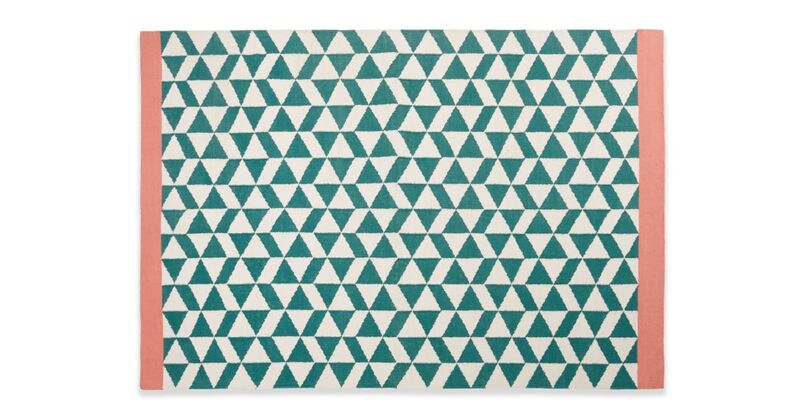 In cool Nordic green, this flatweave cotton rug nods to Scandinavia. Add it to your living room or bedroom for extra cosy vibes. Its geometric pattern and simple block colour edges make Sabro eye-catching. It's soft under your feet, and easy on the eye. Thanks to its flatweave design, this rug will stand the test – and steps – of time.